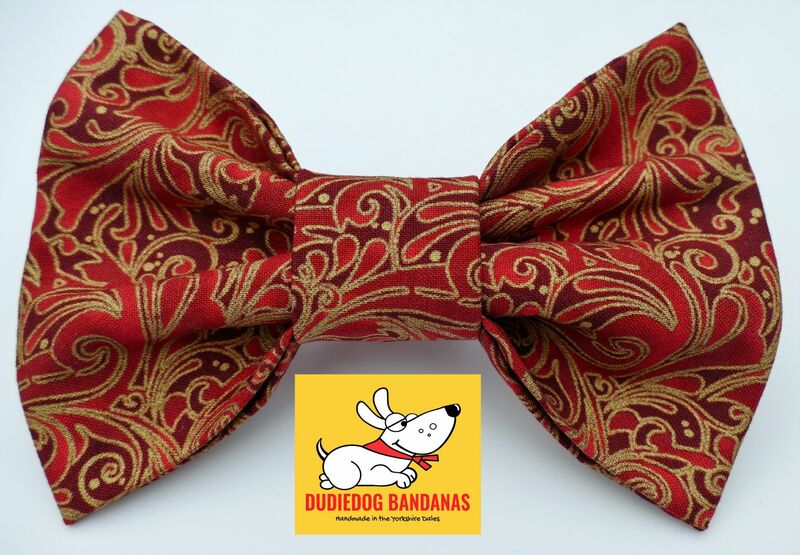 A luxurious, high quality Bow Tie for dogs! It has a beautiful, Baroque style swirly print, in regal shades of red and burgundy, with metallic gold embellishment. The fabric is a superb, premium quality designer cotton. This Bow Tie can be worn all the year round, but is also a perfect dog accessory for the Festive season. 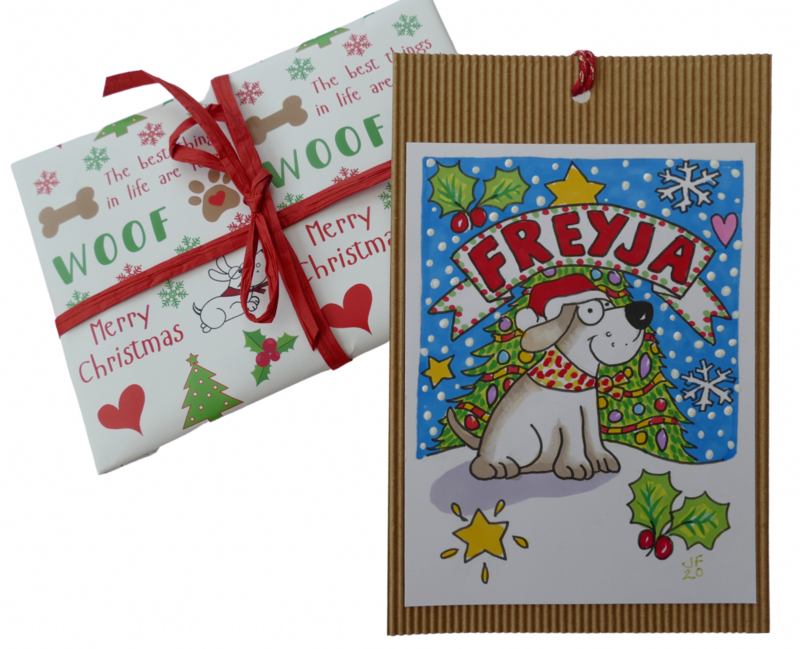 It makes a lovely gift for your favourite doggy friends!